Storage is a new part of the J Tims business. After researching the local market, we came to the conclusion that, good quality storage is in short supply, also the storage that is available needs to be affordable storage. In an attempt to fill that need, we believe, OUR STORAGE IS THE MOST AFFORDABLE STORAGE IN THE LOCAL AREA, WE WILL NOT BE BEATEN ON PRICE. Our storage site benefits from a secure entrance gate and CCTV, our storage containers have double doors for wide access, each door on the storage container has four welded hinges and four locking points on the outer frame, these storage containers can be locked using up to five padlocks, one of which is a tamper proof "lock-box". The storage containers are weather-tight and easily accessible, our container storage facility is all at ground floor level. 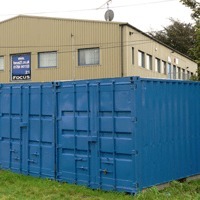 Our storage facility is ideal for short or long term storage, or even for use as a lockup, with easy access during the working day. 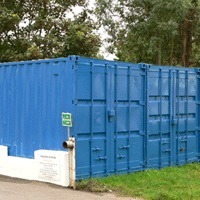 We can also provide racking to hire or buy, to make the most of your storage container. In addition we have storage consumable items for sale, ie; cardboard boxes, bubble wrap, etc.